Love and marriage brought American anthropologist Elizabeth Enslin to a world she never planned to make her own: a life among Brahman in-laws in a remote village in the plains of Nepal. As she faced the challenges of married life, birth, and childrearing in a foreign culture, she discovered as much about human resilience, and the capacity for courage, as she did about herself. While the Gods Were Sleeping: A Journey Through Love and Rebellion in Nepal tells a compelling story of a woman transformed in intimate and unexpected ways. Set against the backdrop of increasing political turmoil in Nepal, Enslin’s story takes us deep into the lives of local women as they claim their rightful place in society—and make their voices heard. 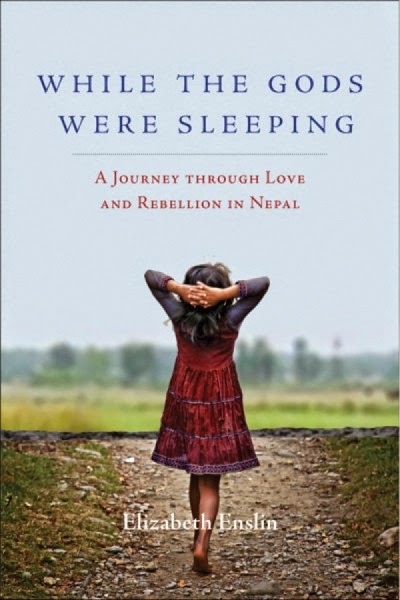 Elizabeth Enslin, author of While the Gods Were Sleeping: A Journey Through Love and Rebellion in Nepal, grew up in Seattle and went on to earn her PhD in cultural anthropology from Stanford University in 1990. While a graduate student, she married into a Brahman family in the plains of Nepal. Inspired by local women, especially her mother-in-law, she researched women's organizing, poetics, politics, and agroecology. Her academic essay, "Beyond Writing: Feminist Practice and the Limits of Ethnography," still inspires conversations about feminism and the ethics of research and activism. Enslin returned to the Pacific Northwest in 1995 and earned her living as a high school and college teacher, a grant writer, and an independent consultant. She has published creative nonfiction and poetry in The Gettysburg Review, Crab Orchard Review, The High Desert Journal, The Raven Chronicles, Opium Magazine, and In Posse Review and received an Individual Artist Fellowship Award from the Oregon Arts Commission and an honorable mention for the Pushcart Prize. She currently lives in a strawbale house in the canyon country of northeastern Oregon, where she raises garlic, pigs, and yaks. While the Gods Were Sleeping is her first book. For more information please visit http://www.elizabethenslin.com, and follow the author on Facebook and Twitter. How do you review someone's life story? That's the dilemma I am faced with. While I thought Elizabeth's story of life in Nepal was interesting and even eye-opening, I don't know that everyone would enjoy it. The story isn't the issue, it's how it's told. Sometimes I actually was a little bored while reading. Like I said, it was interesting subject matter though. Then I would think to myself what a horrible person I was.... how could I be bored by someone's life?! The subject of Nepal and its culture is beyond foreign to me. There's a part that was happy about that though. Nepal is a country that is not so kind toward the female population, and the laws differ so much from our own that I actually was offended a couple of times by things they consider customary. It's like all the bad stories you hear of women being treated as second-class or even worthless come to life. I was baffled why Elizabeth would agree to move there and have her child there. No amenities and very dirty circumstances instead of in North America where there is more resources and cleaner safety standards for deliveries. At least the book explains the answer to that question, and it is what made the story good. In the end, I am glad I read this book. I learned a lot about a country and culture I knew nothing of and heard another human being's story through experiences. Fill in the Rafflecopter form if you live in the US or Canada and want to win a copy of your own. **No compensation was received for posting. 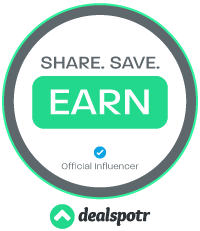 Compensation will be earned if a purchase is made from the links within. A book was received to facilitate a review. Opinions are owned by this site. This site is not responsible for the giveaway prize. I enjoy stories set in other cultures. Thanks for the giveaway. Actually the cover! It drew me in! I would like to read about her life in Nepal. I've traveled to lots of places but never to Nepal so far. This book makes me want to go there.